If I spent every waking hour weeding, I still could not keep up with the weeds on my property. I eschew any form of chemical weed control and pretty much remove weeds by hand. There are not enough hours in the day nor is this the way I want to spend my time! Preventing weeds from growing in the first place would seem to the best plan of attack. Try I did: I had zero success with corn gluten preemergent treatments. I didn’t want to use chemical preemergents. Mulching helps slow down the growth of weeds but is in no way effective as weeds grow right through it or seed themselves via airborne transmission. With all kinds of recipes for weed control circulating the internet, I thought I would test them out. Plain vinegar was ineffective in killing my weeds. I bought gallons and gallons of the stuff. Boiling salted water left over from cooking corn on the cob works fairly well but is in limited supply and will kill other plants in the same area so needs to be used judiciously. It’s not a practical solution on a large scale or on a regular basis. How much corn on the cob does one boil? I decided to try the Epsom salt-vinegar-dish detergent solution. Now this is not an “organic” weed control system by any stretch because dish soap has chemicals in it and Epsom salts are a mineral(magnesium sulphate) but it is a more natural way to kill weeds and I could live with that. Using it in a spray bottle helped control the application. The theory behind this concoction is that the dish detergent helps the weed killer adhere to the foliage, the vinegar kills the foliage and the Epsom salts prevent the weed regrowth. Use it carefully in areas where you do want other desirable plants to thrive since the Epsom salts will leach into the soil and prevent all plants from growing for a long time. For the best results, spray when you know it will not rain for several days. I am happy to report this weed killer worked like a charm. Dollar stores sell Epsom salts in handy 2 cup pouches. If you’ve got weeds, give this natural weed killer a try! Common weeds between the bricks on this garden path. My dilemma was how to protect the moss from the weed killer because I liked the moss and it is a deterrent to weed growth. I tried to spray around it where possible. After just a few days, the weeds are turning brown and drying up. Close up of a dying weed at day 6. 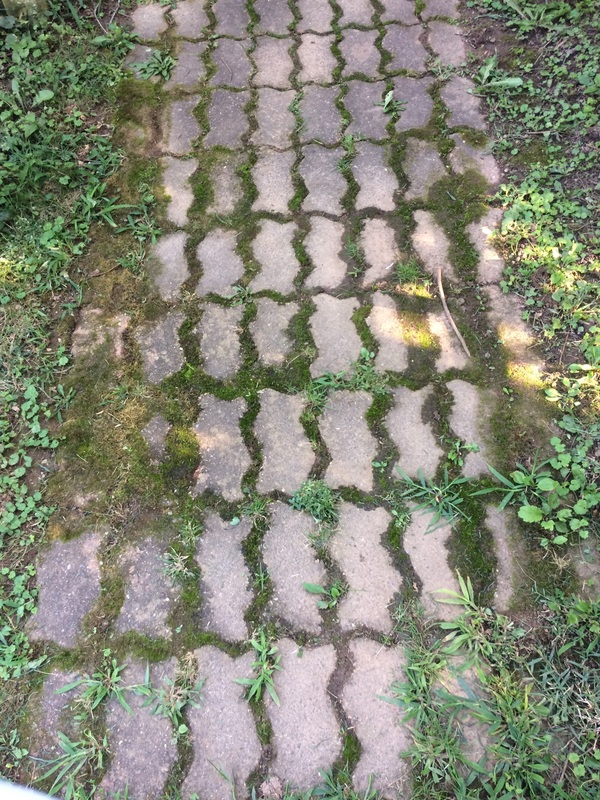 The moss between the pavers has survived where I did not spray. The roots of the weeds did not seem to have died and I still had to pull these out but they were easier to pull. Most of the dead weeds I just left to decompose on their own. 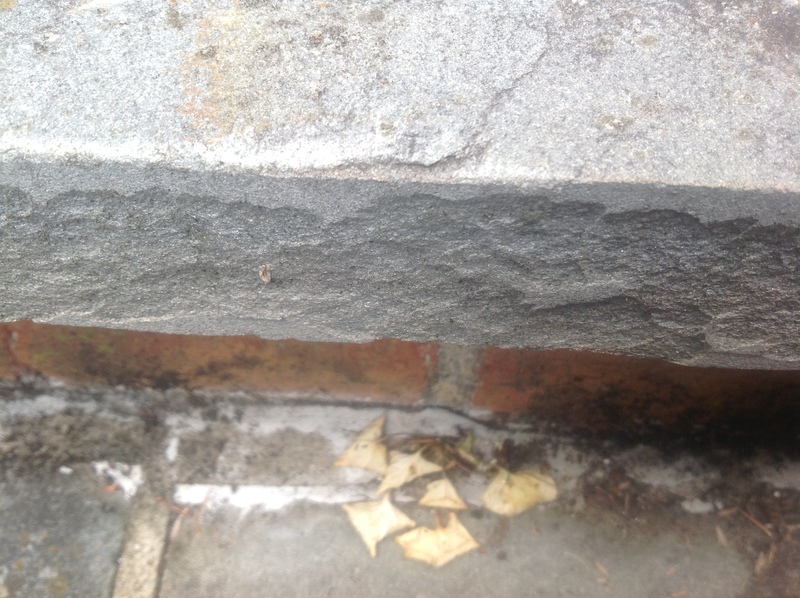 I also sprayed the odd weed along our stone patio. Dead after 5 days! Three weeks later, after just 1 application, the weeds have not grown back! I definitely will be making this natural weed killer again and again! Mix all ingredients together and shake well until the Epsom salts are dissolved. Place in a spray bottle and apply to weed foliage. 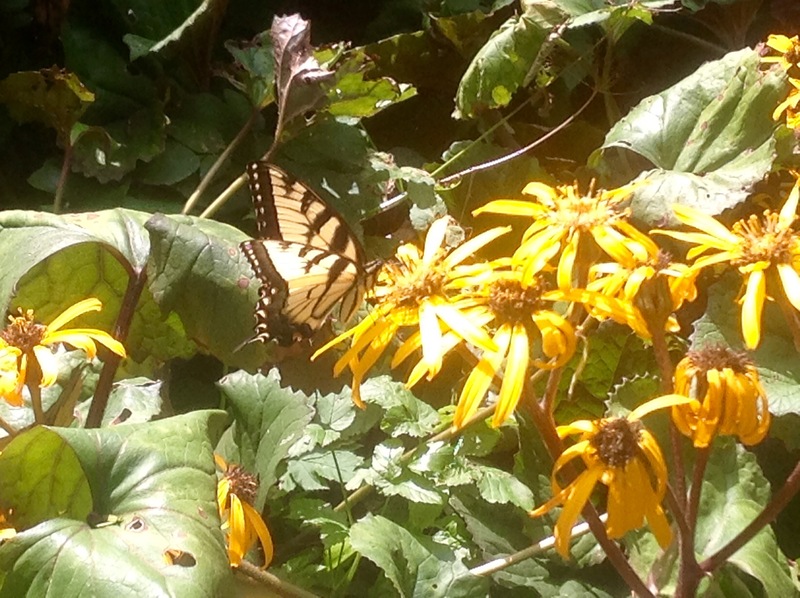 An admiral butterfly enjoying the ligularia in my garden. This entry was posted in Gardening and tagged Epsom salt and vinegar weed killer, epsom salt to kill weeds, home made weed killer, natural weed killer, organic weed killer, vinegar to kill weeds by Johanne Lamarche. Bookmark the permalink. Oh this is great, Johanna! Once a year, my husband sprayed Roundup in the front yard, on the driveway, near sidewalks, etc., but I forbade it in the backyard since I grow vegetables and all. Recently though, I let him spray it on the bamboo that escaped the neighbor’s yard. Nothing else seems to work on the bamboo! I’ll give this a try and see if it’ll work. So I can say goodbye to Roundup forever!! Yikes. Roundup is banned in Canada. It works but at a steep environmental cost. You are wise to have kept it away from the back yard vegetable plot Angie! Bamboo is notorious for being difficult to eradicate. Nothing to lose to give this a try but I just don’t know if it will work. Maybe try burrying Epsom salts around the roots of the Bamboo as well? Let me know if it works. Good luck! I wish I would have seen this a week ago! After coming back to MN (couldn’t get here earlier in the summer) I ended up going to the store and spending about 2 hours trying to find something that would kill some of the weeds and not be too bad. I felt a little sick about it, but it’s just all too much at this point. And it did kill all the moss in my garden path. Now I know, for next time. Oh Mollie! I wished my timing had been better. It really works well. You can make it next year. It must be so stressful to juggle everything living in 2 states and caring for your parents. You must miss your garden. They are going to be moving into an Assisted Living Center next month, so big changes! And yes, it IS stressful!! It’s gonna take a lot of time to get my gardens back…so sad! Digging in the dirt again will be therapeutic for you too. Hope the Assisted Living will be closer to you in MN. This is genius Johanne! Don’t we all have weeds and want to get rid of them without bad chemicals? yes, yes, yes. 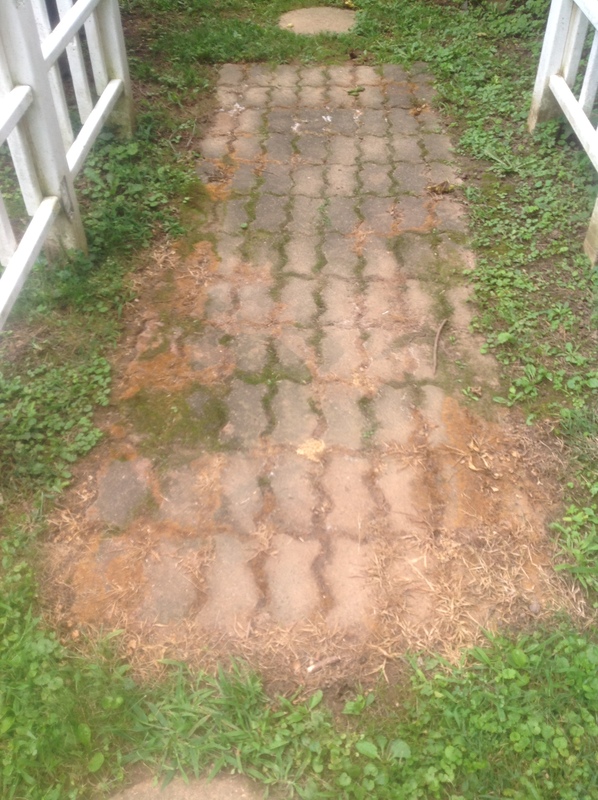 I am going to try this on my back walkway. Many thanks smart lady. Loretta just wrote she used plain vinegar in a spray bottle on her patio and it also worked to kill the weeds although they came back. The salts are the part of this mix that alters the soil pH so weeds can’t return. I love it when you send me all this love and attention Teresa! Thank you. Enjoy the rest of the summer. I’ve read that just regular table salt with the vinegar also is effective. 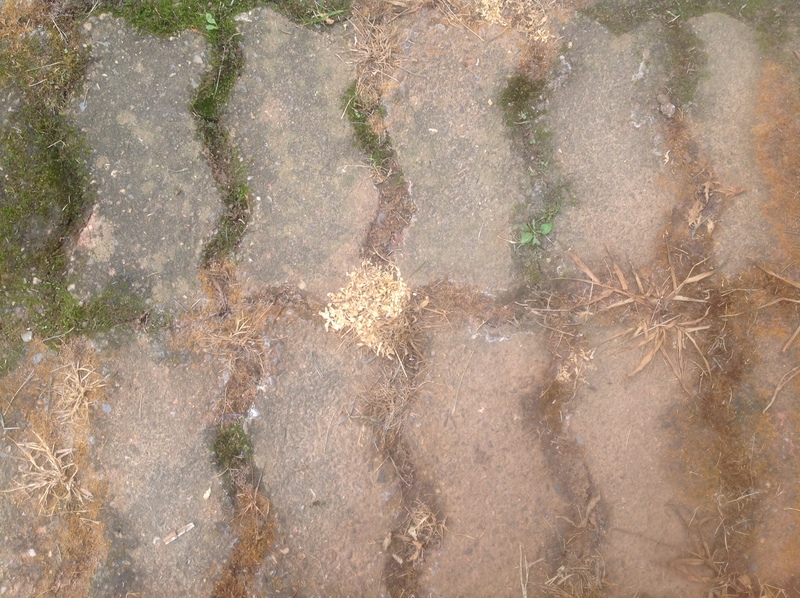 The salts change the soil pH making it unhealthy to weeds for the regrowth. Yes Epsom Salts are a marvel. I guess Gwyneth Paltrow has been responsible for giving them a cult following among the younger generation. I think some people use it to shampoo hair too! Hope your back feels better Loretta.